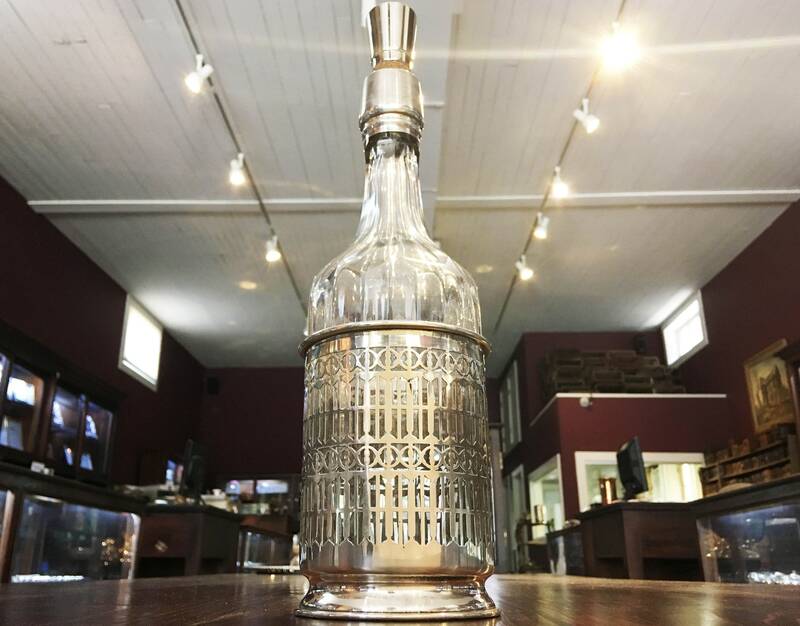 This lovely sterling silver decanter was designed in the 1890's by The Mauser Manufacturing Company. 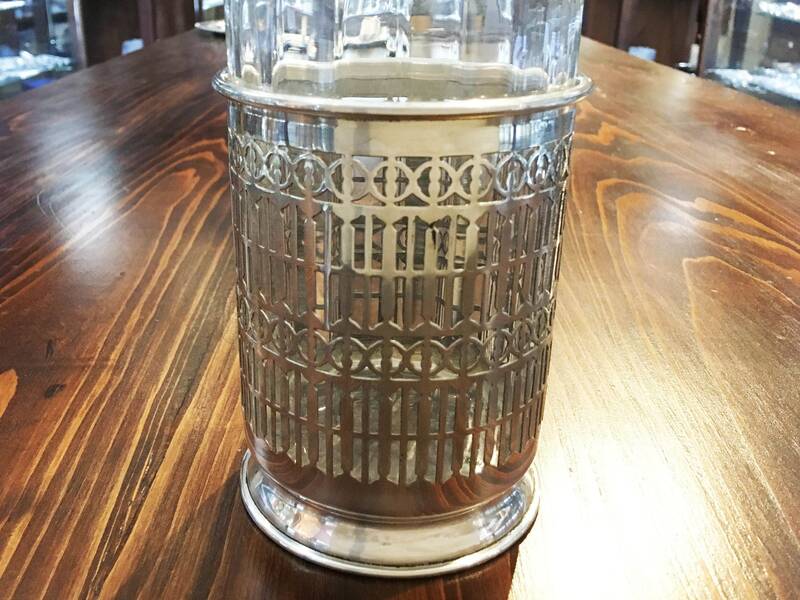 Its classic antique design makes a showstopping addition to any bar collection. The Mauser Manufacturing Company was founded in North Attleboro, Massachusetts by Frank Mauser in 1887. the company was joined by Frank O. Coombs in 1888. They became known for their stunning silver holloware, stationary, sets, and toilet novelties. 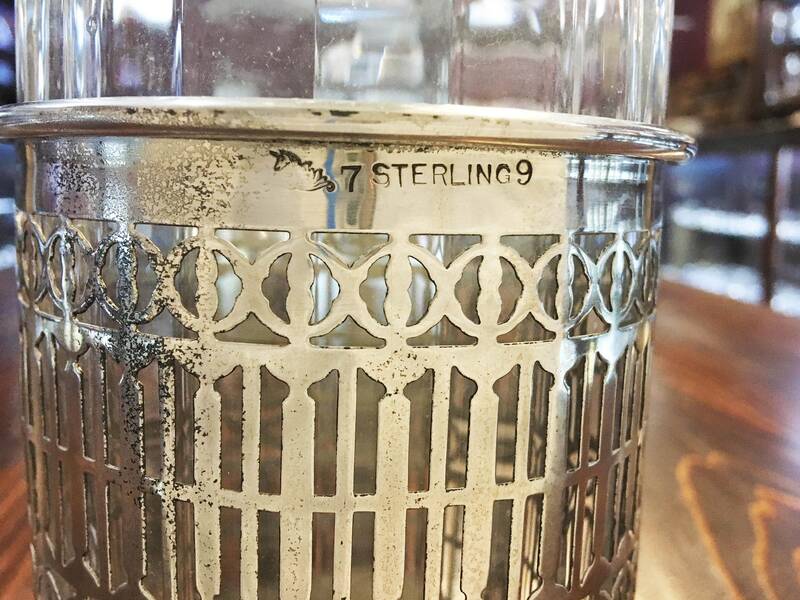 In 1903, The Mauser Manufacturing Company merged with the Hayes & McFarland Company and the Roger Williams Silver Company. In 1913, the company was purchased The Gorham Company.